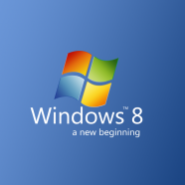 Yesterday I decided to throw caution to the wind and fully commit to Windows 8 Professional. I backed up my data, formatted my hard drive, and did a fresh install of Microsoft’s latest OS. After having used it now for nearly 5 hours of actual business time I realize that I’m seeing things that might be nice to know for businesses thinking about moving to Windows 8 in the near future. So, I’ll be keeping a running commentary going on Twitter using the tag #windows8experience. This page will also constantly be updated with the tweets that I’m putting out there, so I would invite you to check back often and comment below if you have any questions, anything you’d like me to test out, or any screenshots you’d like to see. I wonder what are those things that are worth considering on getting a Windows 8 for your business. There have been many good reviews about this OS. I'm sure it's a really good one, but I also heard that it's now the favorite target of hackers. I hope the people in Microsoft can do something about this problem because it gets worse.